While you are studying with us in Beijing you might need a place where to stay: for this reason Mandarin Zone have partnership with Home Link Real Estate and with dozens of Beijing families, in order to provide the best accommodation solution to suit your needs and requirements. If you plan to stay in Beijing for at least two weeks we advise you to choose the option of living with a Beijing family, in order to maximize the benefits of a Chinese language environment; staying with a Chinese family will also give you a very authentic view of the modern Chinese culture and an unforgettable experience in this amazing city. 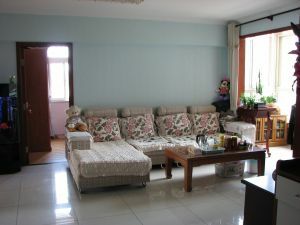 This accommodation option is designed for the students who want to live with a Chinese family and experience the life of the people here in Beijing. Living with the family will give you the chance to practice what you’ve learnt at the school and in this way speed up your improvement. 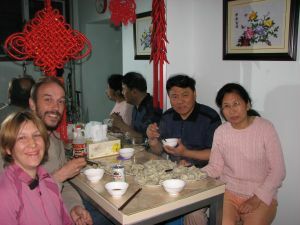 We have partnership with dozens of Beijing local families that are very happy to welcome you in their home; you will have the breakfast and the dinner with the family (included in the cost of the homestay) so everyday you will have the chance to eat many different Chinese authentic dishes: who said that study doesn’t have to be very yummy? This accommodation option is designed for the students who want to live with a Chinese family and in exchange teach to them English (this option is only valid for Native English speakers). 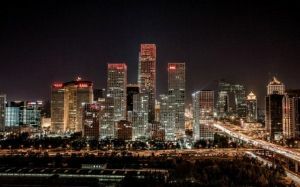 Experiencing the life of the people here in Beijing and living with the family will give you the chance to practice what you’ve learnt at the school and in this way speed up your improvement. We have partnership with dozens of Beijing local families that are very happy to welcome you in their home; you will have the breakfast and the dinner with the family (included in the cost of the homestay) so everyday you will have the chance to eat many different Chinese authentic dishes; teaching English to them will be also a great experience for your personal growth and it might be helpful in future if you want to pursuit a teaching career here in Beijing. The single room in a shared apartment is the right accommodation choice for most of the students who desire to study Chinese in Beijing. You will find a modern and cozy apartment that you will share with another student: it’s a good chance to build up new friendship with people from all over the world. Our apartments are located in Sanlitun, Chaoyang Park (biggest park in Beijing) and near the stops of subway line 10: this will assure our students to have a very cozy life cause this locations are the one favorite by the majority of foreigners living in Beijing. 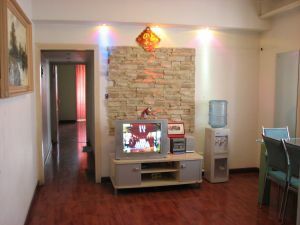 The one bedroom apartment is the right accommodation choice for students who desire to study Chinese in Beijing, but they prefer to live independently. You will find a modern and cozy apartment that will let you feel like home: in this way you will be able to live an independent experience of life in Beijing and can focus on your studying at home in a calm and relaxing environment. Our apartments are located in Sanlitun, Chaoyang Park (biggest park in Beijing) and near the stops of subway line 10: this will assure our students to have a very cozy life cause this locations are the one favorite by the majority of foreigners living in Beijing.